If you drive a vehicle that was sold as new in the United States within the past 10 years, it likely uses a tire-pressure monitoring system (TPMS). This system is designed to warn drivers that their tires are under inflated, which in turn helps prevent sudden tire failures and possible accidents. For the most part, the TPMS in your vehicle requires little maintenance. However, there are a few things you can do to ensure the TPMS keeps functioning as designed. One way you can quickly break a TPMS is by using flat sealants not designed for use with these systems. Flat sealant canisters use a high-pressure gas to inject a thick liquid into your flat tire and then simultaneously seal any punctures and re-inflates your tire. While flat sealants are a boon to travelers and commuters who need a safe, fast way to get back onto the road after a flat, injecting a sealant that isn’t designed for a TPMS can clog the valve stem and damage sensitive components. Avoid flat sealants altogether or select a formula that is completely safe for use with your vehicle’s TPMS. The TPMS in your car relies upon individual pressure monitors in each wheel. These monitors are capable of handling a reasonable amount of vibration, but if they suffer a sharp, strong blow, they can be broken. Always drive to avoid potholes, curbs, and other objects that can jar your vehicle and wheels. In addition, if you have been involved in any accidents, you should have your TPMS sensors evaluated to make sure they are still operable, especially if pressure readings seem abnormal. Since the TPMS sensors rest inside your tires, they are vulnerable to damage during the tire removal and installation process. Select a wheel and tire shop that has both the equipment and knowledgeable technicians to handle these sensitive components. Avoid using shops that don’t work regularly with wheels and tires, and also steer clear of high-discount shops that might not have the proper equipment or trained technicians to perform quality work. In addition, be sure that technicians are aware that your wheels contain TPMS sensors before asking them to perform work. These professionals should recognize that these sensors are in-place, especially if your vehicle was made in 2007 or later, but it is better to let them know to prevent unnecessary damage. Water is the enemy of many electronic devices, and the TPMS in your vehicle is no exception. 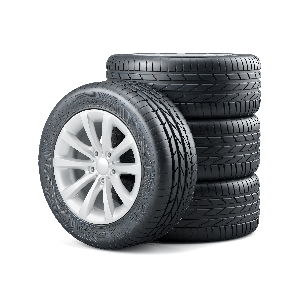 The environment inside your tires is often moist, and this moisture can corrode the internal components. You can avoid moisture in your tires by using an appropriate water-stripping gas, such as nitrogen, or getting air from a compressor that is well-filtered. Always keep your valve stems covered with screw on caps, as they will also help eliminate the moisture from entering your tires. Whenever you have your tires replaced or serviced, the TPMS sensors in the affected wheels should also be overhauled by replacing several internal components, such as O-rings, valve cores, and retaining nuts. These components are available as inexpensive TPMS rebuild kits, which can make the process of replacing these parts a lot easier for technicians. If your wheel or tire technician doesn’t perform these overhauls as a regular part of service, you may wish to purchase these components in advance and provide them to the technicians. 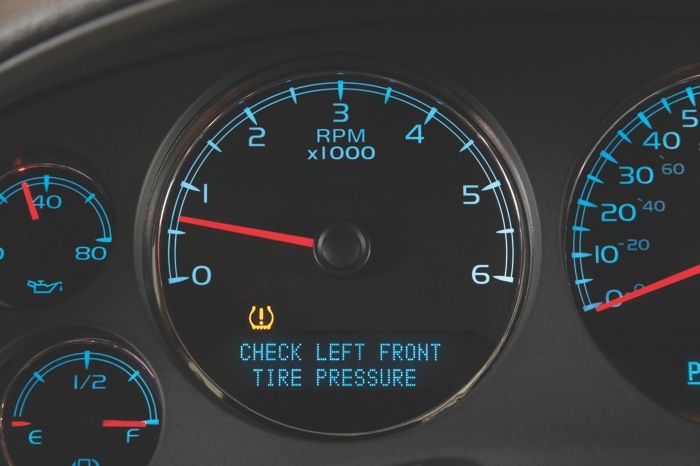 Use these tips to keep the TPMS in your tires in good repair. If you ever need to purchase new wheels or tires, contact Extreme Wheels.